Our custom jersey, with a ¾ zip, has a comfortable, semi-relaxed fit, wicks moisture and offers good ventilation for your time in the saddle. Three sturdy rear pockets with reinforced stitching provide plenty of room to stash your wallet, cell phone and snack. The jersey offers a true to size fit. Note: guests on trips with biking have a choice of a complimentary bike jersey or T-shirt, or a donation to World Bicycle Relief. 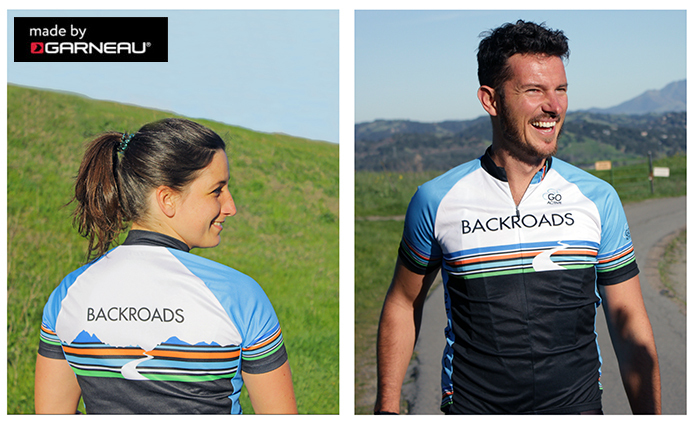 Your apparel will be sent to you 45 days prior to the start of your Backroads trip. View the T-shirt details and sizing chart.